Four jaw geared scroll chuck made from precision engineered, high quality steel. Extremely compact, facilitating easy access to workpieces for fine and delicate work. 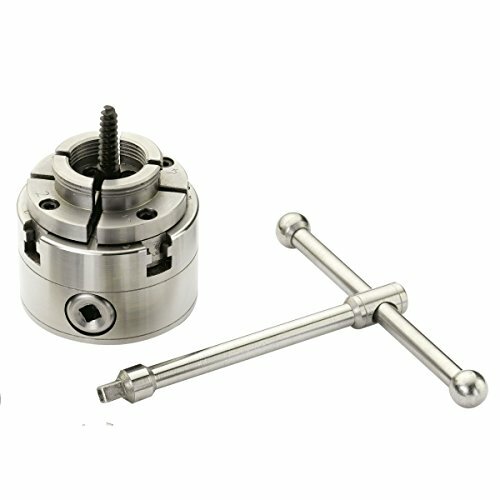 Capable of turning bowls up to 12" in diameter, ideal for use on smaller lathes, placing minimal stress on the bearings. Supplied with a set of standard dovetail jaws and a handy woodscrew chuck. Product contents:RP2000 chuck, RP2000E standard jaws, SRP2000-3 woodscrew, chuck key and hexagonal key. Specifications:Dia. 62mm.